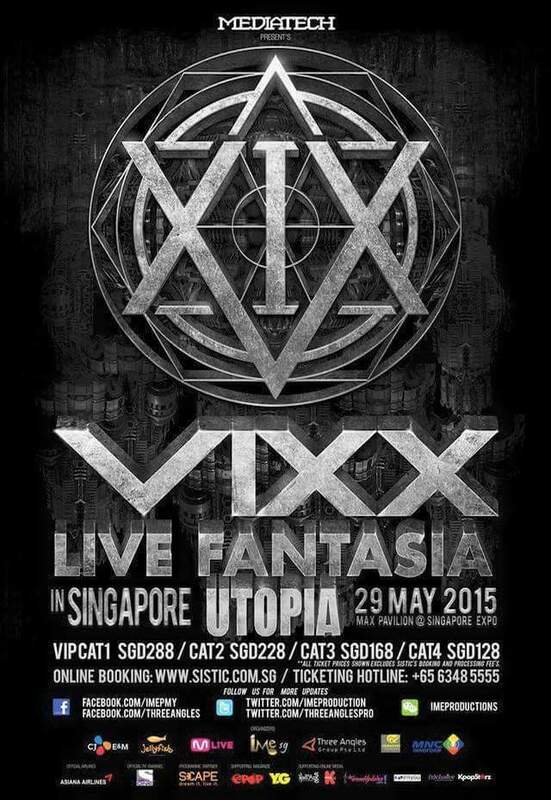 VIXX Live Fantasia Utopia in Singapore was held at Max Pavilion, Singapore Expo on May 2015. This was the last leg of the Live Fantasia Utopia tour and they provided their fans with an exciting 150 minute concert. This was also the first time VIXX landed on our shores. 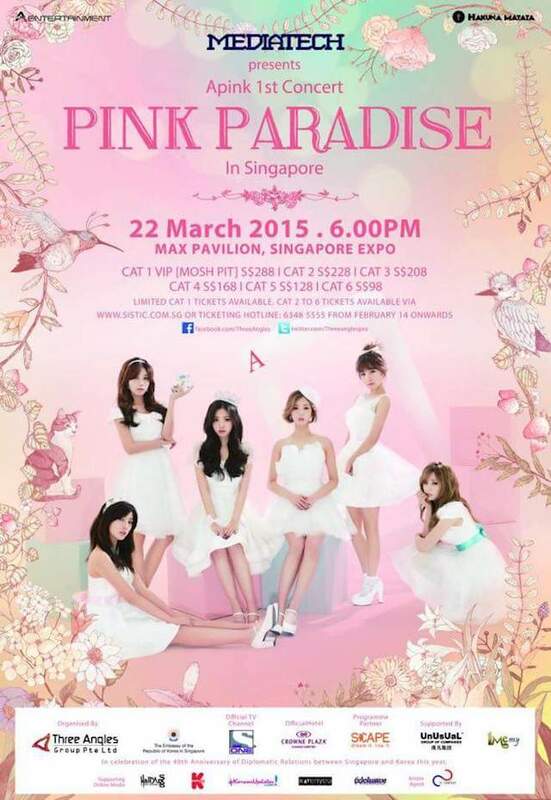 Korean Girl Group Apink brought their first ever solo concert to Singapore on 22 March 2015. The concert was titled Pink Paradise and was attended by more than 4,000 Pink Pandas (Apink Fans). 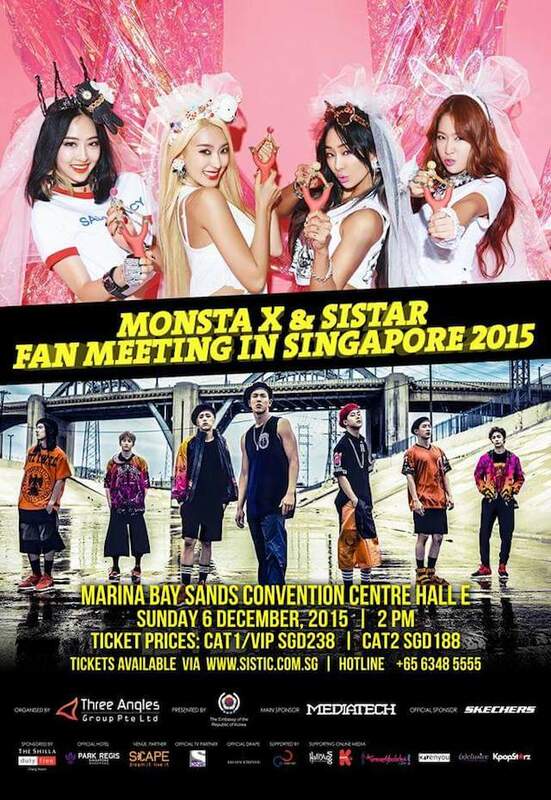 This was the first time that Sistar and Monsta X held a combined fan meeting and it was held in Singapore at Marina Bay Sands Convention Centre Hall E. Both groups brought the house down with their top hits, energetic dance performances and interactive stage segments with fans. 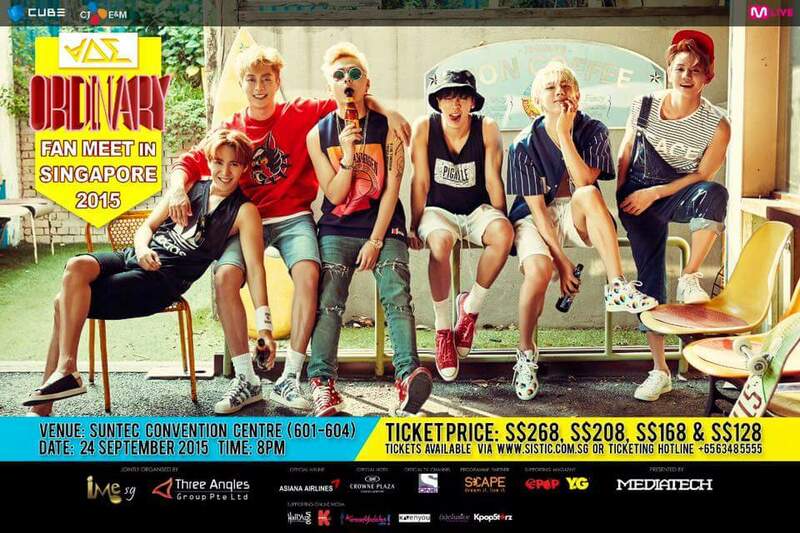 After 3 years, BEAST returned to Singapore for their “Ordinary” Fan Meet in Singapore that was held at Suntec Convention Centre (Hall 601 to 604). The group performed their latest Single “YEY” amongst their top hits and also gave fans opportunities to interact with them through stage game segments and talk sets. 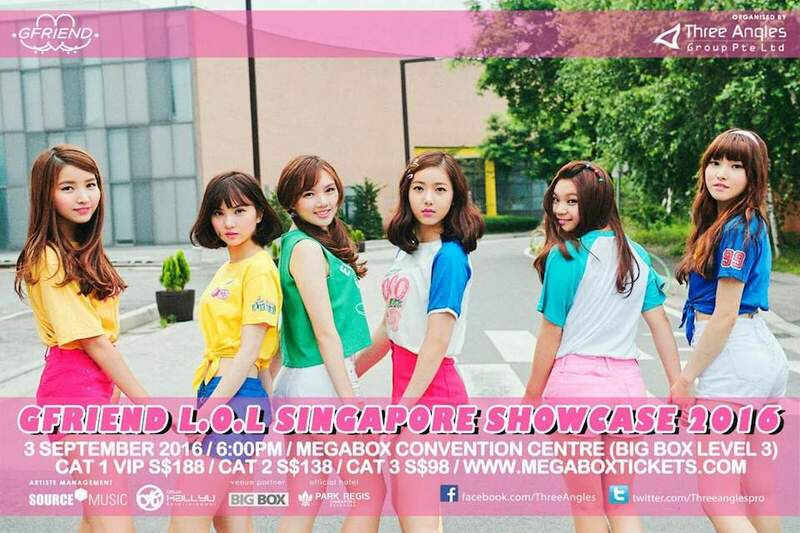 In 2016, Korean Female Idol Group GFRIEND came to Singapore for their first ever showcase at BigBox. Titled L.O.L Showcase, they brought Lots of Love for their fans and gave a stellar 120 minute long performance. Three Angles Production also brought GFRIEND to Manila for their L.O.L Showcase which was held at Solaire Theatre. 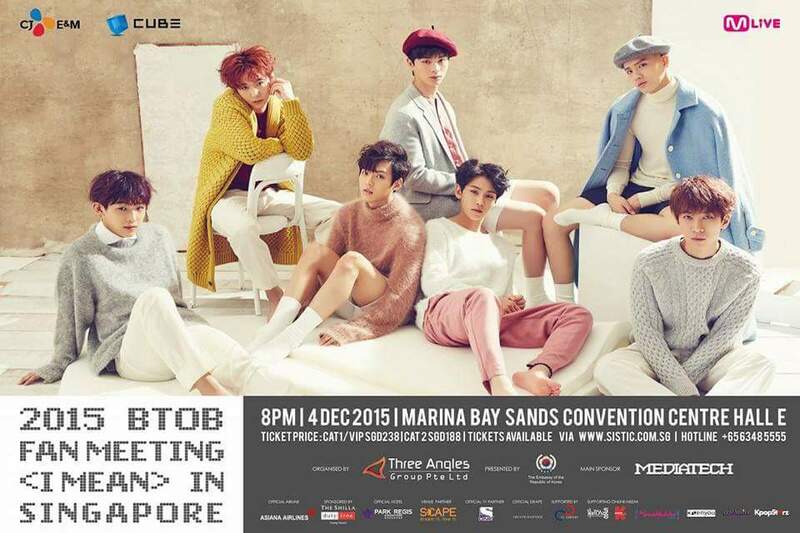 2015 BTOB Fan Meeting in Singapore was held at Marina Bay Sands Convention Centre Hall E on 4 December 2015. The groups return to Singapore was after a 3-year long absence since their last appearance and they rewarded their fans with a 120-minute-long fan meeting. During the fan meeting, some lucky fans were picked to head up stage to have some of their wishes fulfilled by their idols and the boys obliged to requests such as selfies and hugs.